Rep. Bruce Poliquin is appealing a recent federal judge’s rejection of his lawsuit challenging the constitutionality of ranked-choice voting. Poliquin and three other residents of Maine’s 2nd Congressional District filed a notice of appeal Monday, four days after a U.S. District Court judge dismissed his constitutional arguments and refused to order a new election. Attorneys for Poliquin said they plan to file a brief Tuesday with the 1st U.S. Circuit Court of Appeals in Boston. The two-term Republican lost the 2nd District election to Democratic Rep.-elect Jared Golden in the nation’s first use of ranked-choice voting to decide a congressional race. 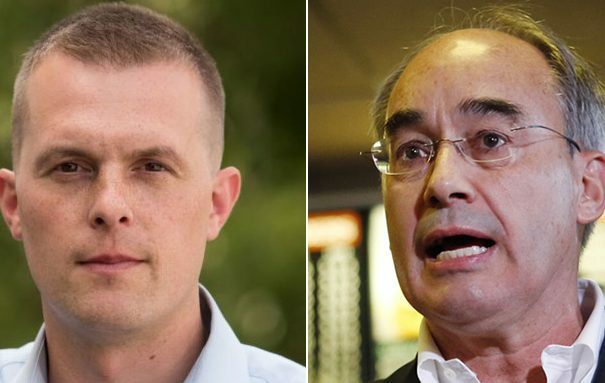 Poliquin trails Golden by more than 3,500 votes and has sought to overturn an election process that his campaign claims was confusing for many voters and potentially violated the U.S. Constitution. “Maine’s RCV Act reflects the view of a majority of the voting public in Maine that their interests may be better represented by the candidate who achieves the greatest support among those who cast votes, than by the candidate who is first ‘past the post’ in a plurality election dominated by two major parties,” Walker wrote. • Do voters have the right to know the final contenders in a race when casting ballots? • Does allowing voters to “shift their votes between candidates” via ranked-choice preferences violate the “due process” guarantee of the U.S. Constitution? • Can states “set aside” the results of an election won by a plurality of votes in order to hold a ranked-choice runoff? There are, however, differences between the Maine Constitution and the federal Constitution. The Maine Constitution specifically states that general elections for governor and the Legislature must be decided by a plurality of votes. But the document is silent on congressional elections, which is why voters used the ranked-choice system in three congressional elections in November, but not in the three-person race for governor. Likewise, the U.S. Constitution does not specify whether states must use a plurality or a majority to determine the victor of federal races. Walker also rejected Poliquin’s argument that his supporters who chose not to rank other candidates were somehow disenfranchised when compared with voters who used the ranking system. “They expressed their preference for Bruce Poliquin and none other, and their votes were counted,” Walker wrote. Maine approved two ballot questions – in November 2016 and again last June – endorsing the switch to a ranked-choice runoff process. The system allows voters, when deciding between three or more contenders in a race, to rank candidates in order of preference on their ballots. Those rankings only come into play if no candidate wins a majority of the vote on the first tally. In a ranked-choice runoff, the candidate or candidates that received the least votes in the first round are eliminated and their supporters’ votes are reallocated to remaining candidates based on their preferences. The process continues – with candidates eliminated from the bottom up – until one candidate wins a majority of the remaining vote pool. Golden’s supporters have called on Poliquin to respect the will of the voters and to work with the Democratic congressman-elect on the transition. Supporters of ranked-choice voting also have accused Poliquin and his backers at the Maine Republican Party of attempting to undermine public confidence in Maine’s voting system in order to block a voting process that some view as less-favorable to Republican candidates. In his lawsuit, Poliquin contends that Maine’s ranked-choice voting law runs afoul of the long-standing practice in most – but not all – states of using a plurality of votes to decide the winner of congressional elections. His legal team also claims ranked-choice voting violates constitutional principles of due process and equal protection. Despite Poliquin’s claims of voter confusion over a “chaotic” ranked-choice system, municipal clerks throughout the 2nd District reported few issues with the process on Election Day. But both Poliquin and his attorneys have made clear that they see the case as a larger fight – with national implications – over the use of ranked-choice voting. “Whether a state can go beyond a plurality that is currently provided for in (the Constitution) is an open question the Supreme Court has never decided,” Goodman, Poliquin’s attorney, said last month.